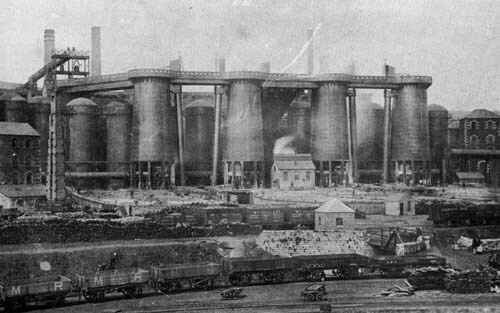 to be the biggest in the world. 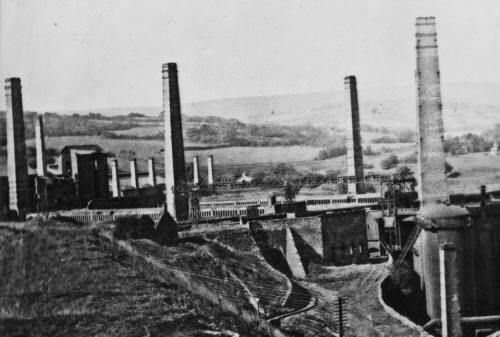 Richard Crawshay died in 1810, and the works passed to his son William Crawshay. 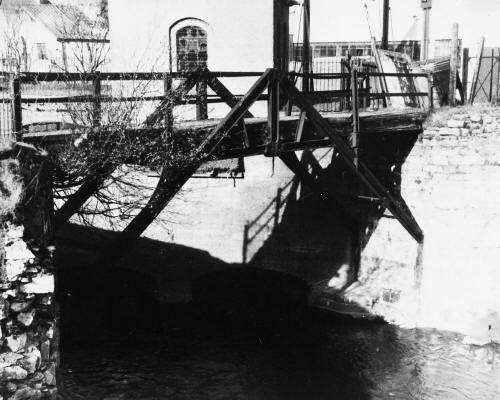 who appointed his son William II as manager, he took the works to it's greatest production levels, and made many improvements and developments. His son Robert Thompson Crawshay took over in 1847. 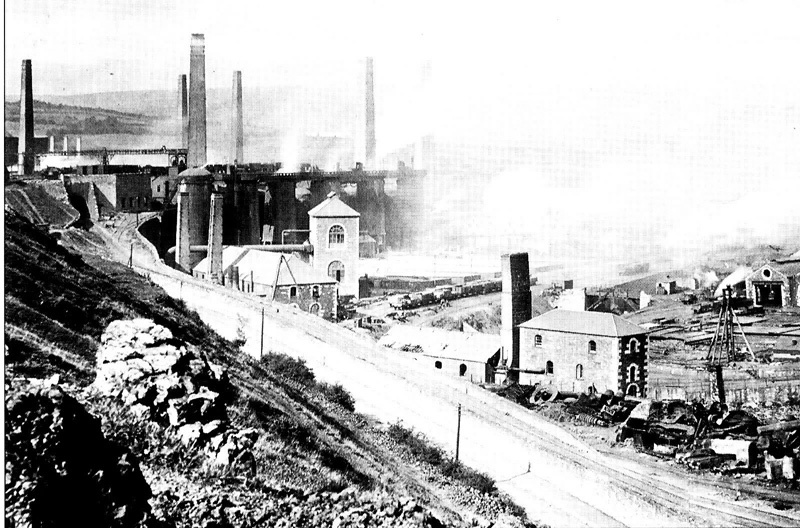 Robert's refusal to change to Steel production ( Steel was becoming a more popular metal ), eventually brought about the works closure in April 1874. 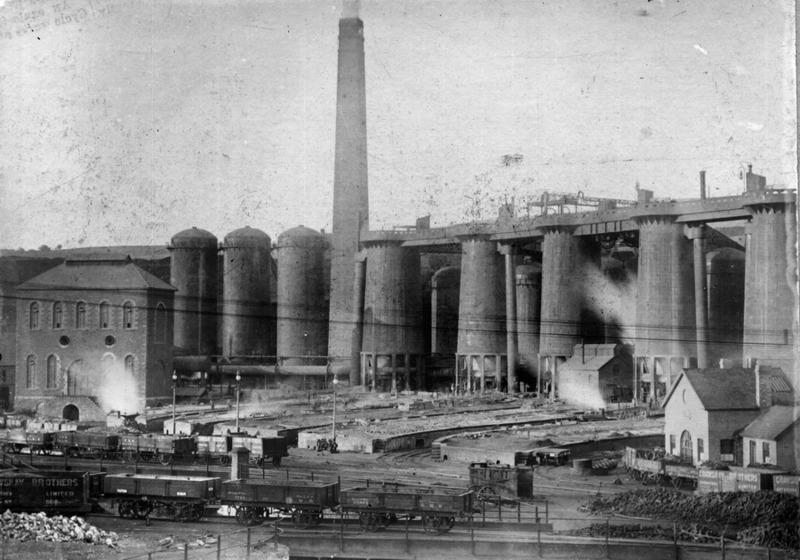 Following Robert's death in 1879, the works was converted to a Steel production plant, by his son William Thompson Crawshay, at a cost of £150,000, and reopened in 1882. It again closed in 1910. In 1915 it was reopened to produce pig iron and shell steel during the Great War. It finally closed forever in 1919. Dismantling was commenced in 1928. 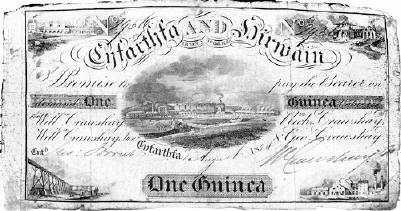 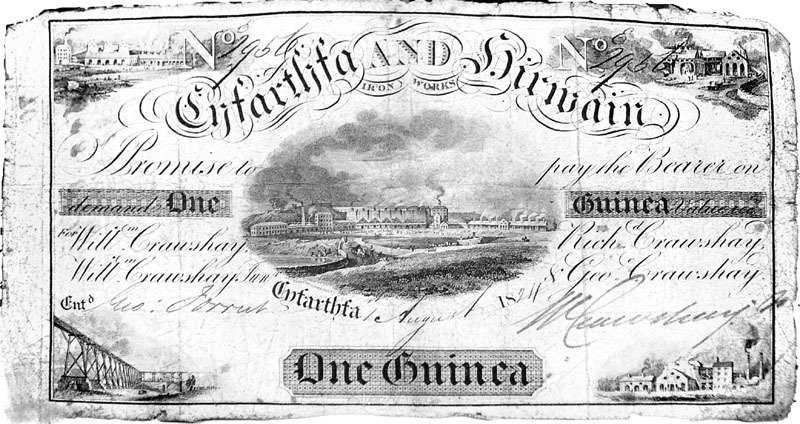 A Cyfarthfa and Hirwaun One Guinea Note. 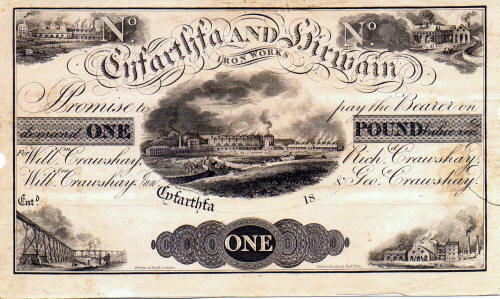 A Cyfarthfa and Hirwaun One Pound Note. 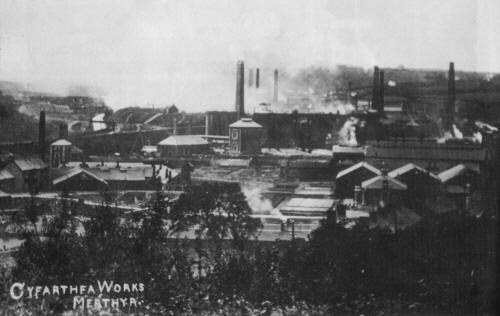 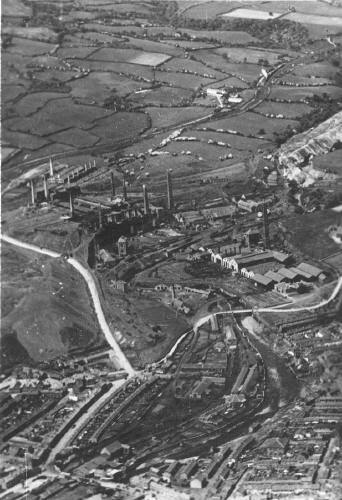 Cyfarthfa Works from the Air - circa 1920. 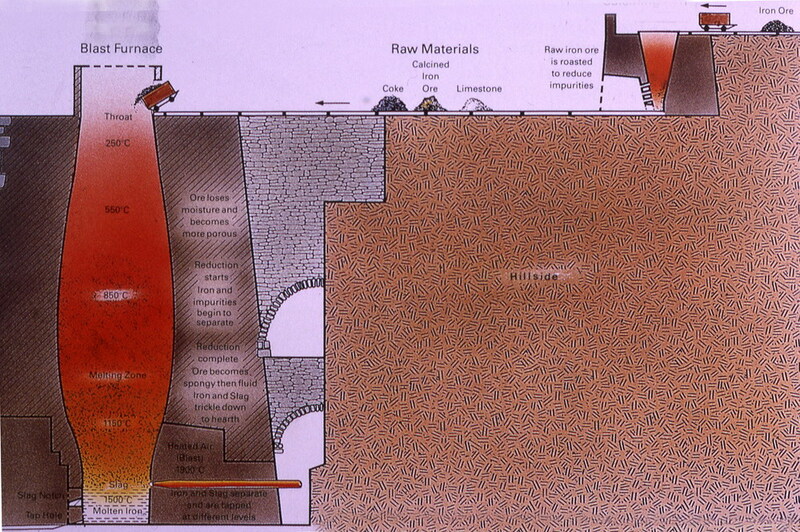 How a Blast Furnace in works. Cyfartha Ironworks was originally driven by water, this was one of the supplies of water. 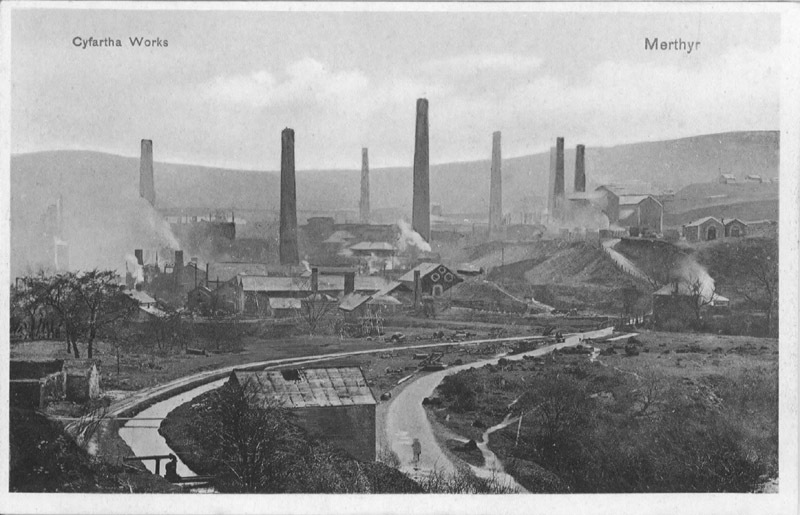 Leat or channel (parts of which remain, and can still be seen today), to travel down to the works. 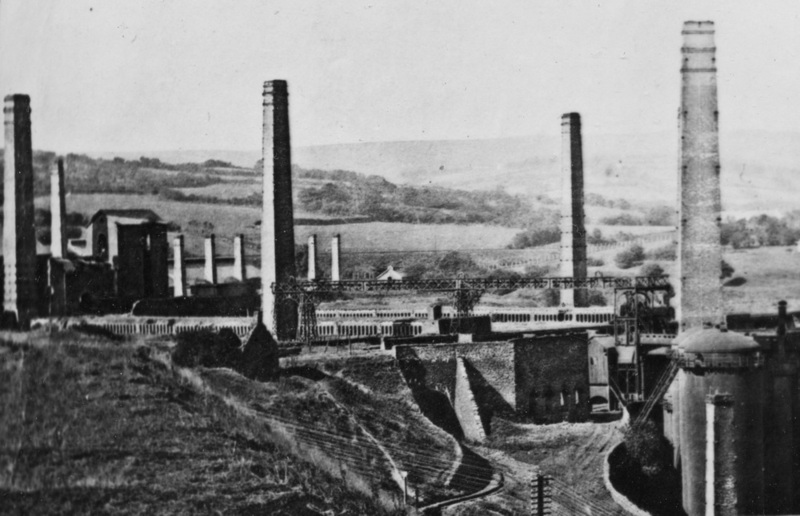 This was constructed by Charles Wood, who was contracted to build the furnaces in 1767. 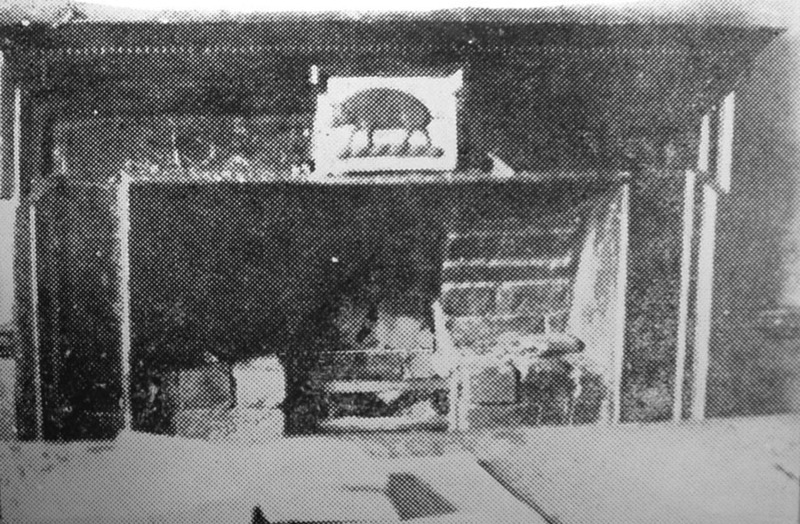 "This is Nelson, shout you Beggars!" 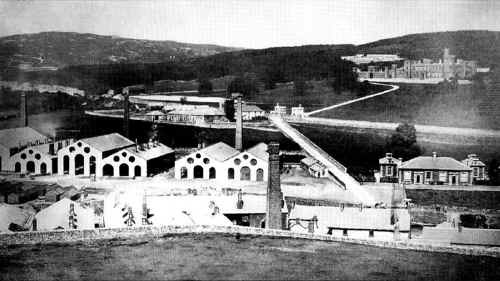 A Typical Cyfarthfa works 'A' framed Iron bridge. 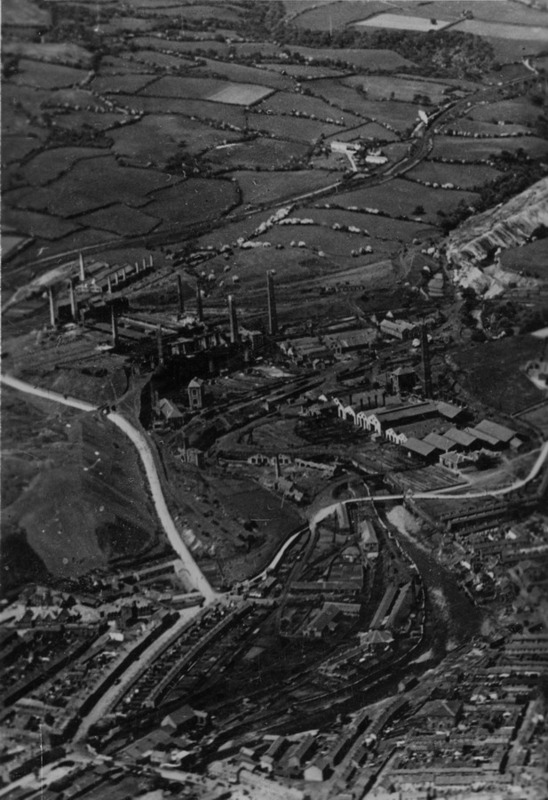 Do you have any photographs or information relating to Cyfarthfa Iron & Steel Works?